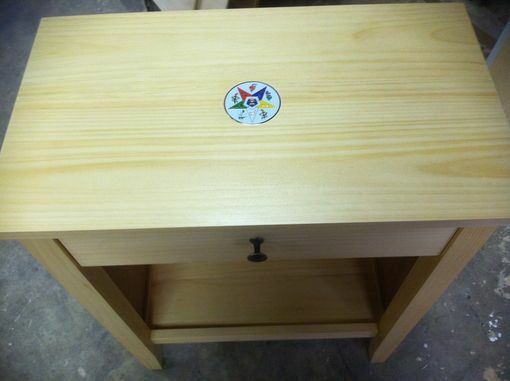 This is a table custom built for a local Eastern Star Chapter. 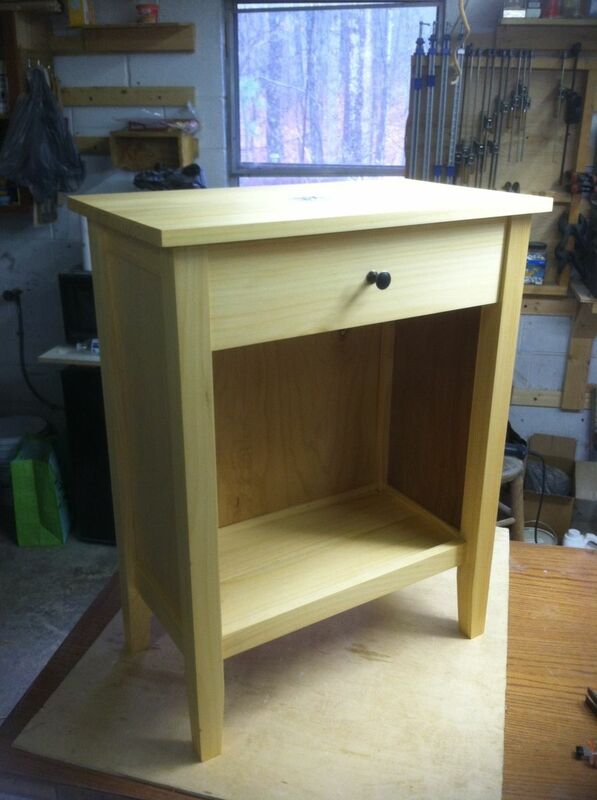 Made from pine with a drawer and a lower shelf. 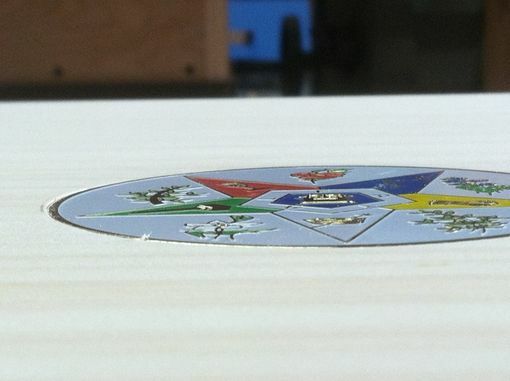 Eastern Star medallion inlayed into top.